One woman who’s ready to make a commitment. 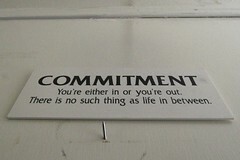 A commitment to Become a Franchise Owner! I’m going to help one lucky lady learn how to choose, research, and buy a franchise business! My industry could use a few more women franchisees. I know first hand, just how well women do as franchise owners. I’ve worked with dozens of them before, and I hope to work with dozens more as their franchise ownership advisor. So, I want to get the ball rolling, and start things off by helping one woman become a franchise owner. And, it’s not just me that will be helping the winner from start to finish. SmallBizDaily.com is your source for small business news, ideas, trends and inspiration, featuring articles from small business expert Rieva Lesonsky. BizSugar.com is the place to go to share and learn small business news and tips with BizSugar’s community of small business owners and entrepreneurs, and it’s owned and operated by Anita Campbell. Franchise Direct is one of the world’s leading franchise opportunity websites. We have an incredible amount to offer female entrepreneurs, in particular. On top of America’s best franchise opportunities, you’ll discover franchises specifically geared to women as well as the best home-based businesses for the working mom. There is no glass ceiling in franchising: with the right amount of drive and dedication, you can thrive. Let Franchise Direct show you the way to true career freedom. If you’re a woman who’s been thinking about becoming the owner of a franchise business, read on. This is cool. What I mean by, “In public” is this; everything that we do together is going to be reported on…blogged about…constantly. Everyone who’s following me on Twitter, all of my fans on Facebook, the small business influencers who submit really useful information over at bizSugar.com, hundreds of people over at LinkedIn, plus hundreds more who follow me and expect nothing but top-notch franchise business content on several other social media networking sites. And my 1,000+ almost-weekly VIP Newsletter Subscribers. National Media Outlets May Even Cover This Franchise Contest For Women. If you’re serious about changing the way your life’s been going, and you feel that becoming your own boss is the thing that you must do, I’m going to work with you at no charge. 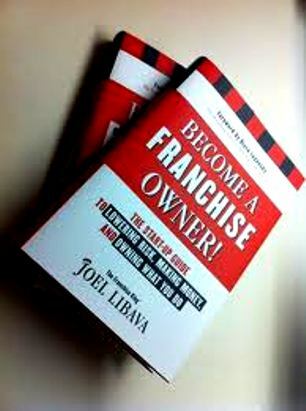 I’m going to teach you exactly how to become the owner of a franchise business. In addition, you’ll receive the following products and services at various times in the franchise discovery and purchase process…..
Ignite Venture Partners is a leader in building value in businesses of all sizes, stages, and across industries. They have a unique mix of entrepreneurial passion, venture acumen, best practices consulting, and refined analytics. Laura Petrolino, Chief Communications Officer, will write and distribute a powerful press release for the winner of this franchise contest when she opens for business! 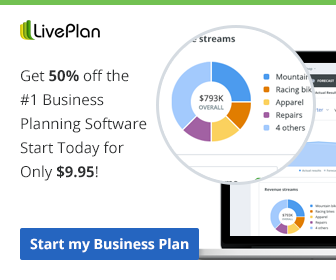 LivePlan, from Palo Alto Software, provides tons of built-in guidance, including video instructions from renowned business planning expert Tim Berry. You might not be familiar with his name, but Tim literally wrote the book on business planning (The Plan-As-You-Go Business Plan), and it’s included with your LivePlan subscription. Tim has agreed to give away a full 6-month subscription to LivePlan for the winner of this women’s franchise contest. Having a strong business plan is a real plus these days…especially in the eyes of small business loan officers. You’ll be using this software before you apply for any bank loans etc. Rush Nigut is an experienced and trusted Iowa attorney advising businesses in a wide-range of industries including technology and communication companies, franchise operations, along with banking and financial institutions, contractors and manufacturers. 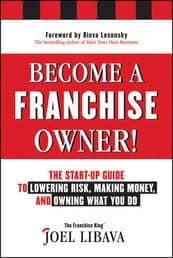 Rush will be providing a Franchise Disclosure Document and Franchise Contract review at no charge to the franchise contest winner. 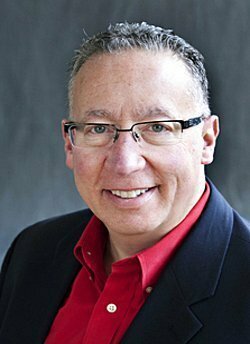 Matt Mansfield is a recognized expert in online business and the President of Matt About Business where he helps entrepreneurs and Fortune 500 companies figure out what their business SHOULD be doing online. Matt About Business is pleased to donate 1 hour of “What Your Business SHOULD Be Doing Online” consulting to help the winner fill-in any online marketing and managing strategy gaps once she gets up and running with her new franchise. Nicole Fende is President and Chief Numbers Whisperer of Small Business Finance Forum. As a credentialed actuary with experience as a Chief Financial Officer, Investment Banker, and successful entrepreneur, Fende helps her clients reach their profit goals and learn how to effectively and enjoyably run the financial side of their business. Nicole is giving away her new book, “How to be a Finance Rock Star” to the winner of this contest. Nicole’s book provides the resources and knowledge every entrepreneur needs to get their finances in order–all packaged in an entertaining and easy to understand format. Whoever is chosen as the winner will definitely have a nice head-start in her new business! Please read The Contest Rules. 3. You’ll have to sign a waver allowing me to use your name, location, and picture etc. 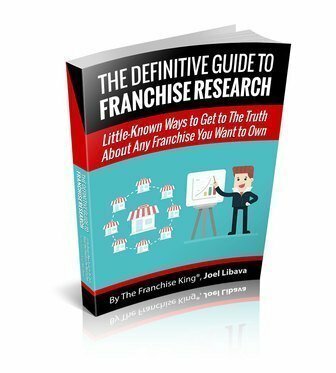 This is a great opportunity for one lucky lady to work with someone who specializes in franchise selection and research, at no cost–and receive a bunch of free tools and services to help her through every step of the way! The contest starts now, and goes until April 6th. I’ll be the one choosing the winner. I think that more women need to become franchise owners. I’m focused on finding a great lady who wants to be her own boss. Men; if you know a woman who’s been talking about becoming her own boss, please make sure that she knows about this Royal offer. Ladies; if franchise ownership isn’t for you, that’s fine. Do you know a lady who’s been talking about becoming a franchise owner? Please share this announcement with her. I’m looking for One Lucky Lady. You are welcome to copy and use the banner below on your own websites, blogs, and newsletters.. Just link it to this post. I’d love your help passing this blog post around! Thank you! Please Use the #OWOF to Re-Tweet, Like, StumbleUpon, and Google + this announcement! 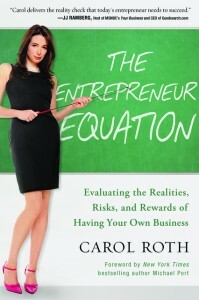 My friend, Carol Roth, has graciously offered to give away a couple of her books. If you’d like one, just submit a comment underneath this post, and we’ll choose 2 winners at random! I’ll be spreading the word to my network. This is great! If I could be of any help, like sponsorship opportunities, let me know. I am an accountant and i’ve been in business 8yrs now! Great luck to the winners!!! Thank you so much, Aradia! Joel this is awesome! I will be spreading the word and following the progress. April 6th is the deadline!